I’ve been speaking and writing about Supra Ventricular Tachycardia(SVT) a lot recently. Perhaps because of the number of cases coming in. Someone mentioned a new way to give adenosine for SVT. A recent post on Academic Life in Emergency Medicine, also mentioned this approach. Traditionally we administer the adenosine in a 6mg dose via a peripheral line and then follow this by a bolus of 20mL of normal saline. We can increase the dose to 12mg. 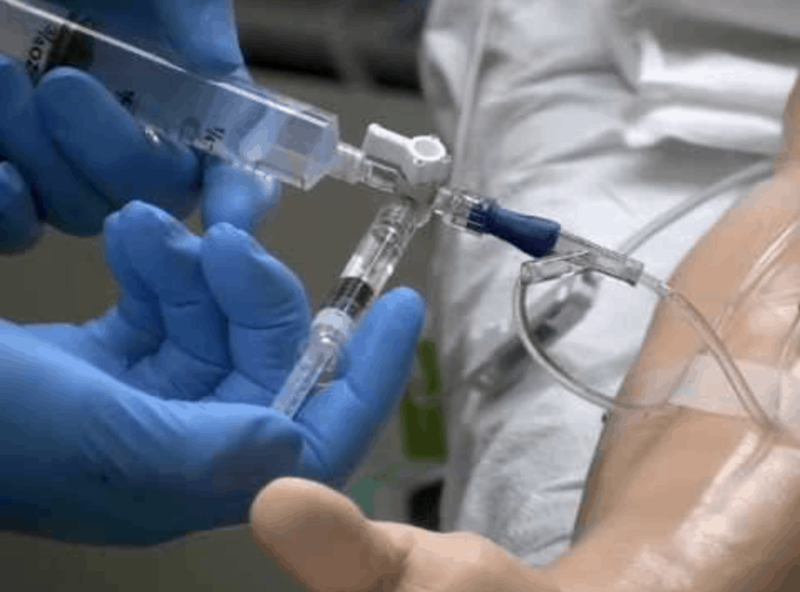 We may use a 3-way tap to coordinate giving the drug, or may simply disconnect one syringe and connect another, or just squeeze the saline bag to provide a flush. The aim is to get it in quickly. The necessity for the push, is that adenosine has such a short half life, being metabolised by erythrocytes and the endothelial cells in a matter of seconds. A new method has been proposed ( J Korean Soc Emerg Med. 2003 Aug;14(3):224-227) for giving the drug. Both the adenosine and normal saline are drawn up into a single 20mL syringe and pushed ie., the drug and flush are given together. In this study(although small), this method was shown to have similar efficacy to more traditional ways of giving the drug. 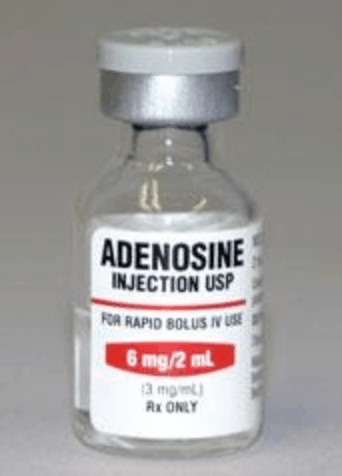 The concerns of dilution of the adenosine, appear to be unfounded. I’ll certainly try this. It just sounds easier, with less fiddling with three-way taps.